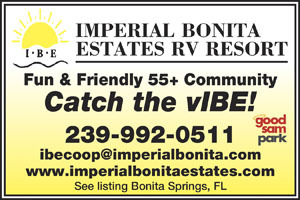 We found 38 Results for "Bonita Springs, FL"
Located between Naples and Fort Myers, Sanctuary RV Resort is conveniently located to everything and is the newest park in Bonita Springs. Shaded and open sites with concrete patios. Visit our Coffee Shop, Cafe and Gift Shop. 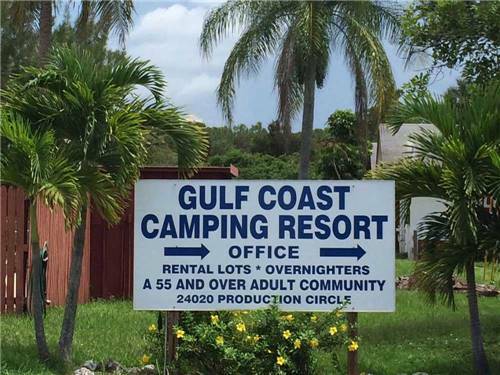 Just 6 miles from the Gulf of Mexico. Laid back atmosphere with many in-park activities. 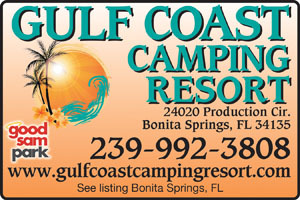 Enjoy Gulf Coast's array of shopping, dining, and attractions. Family owned pet-friendly park. Relax in the South Florida sunshine. A great location in Naples combined with a relaxed atmosphere equals your road to the good life! Cool off in the sparkling pool, fish at the lake or keep it social with a game of shuffleboard, petanque or horseshoes. 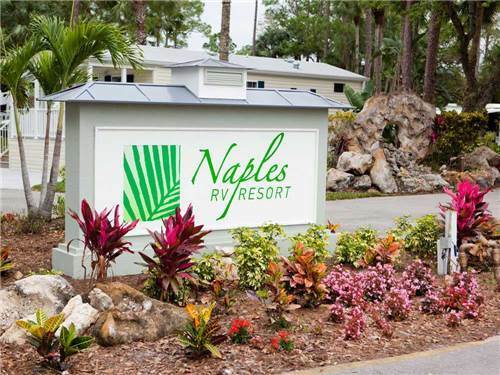 Naples RV Resort is nestled among trees, immersing you in a tropical experience. 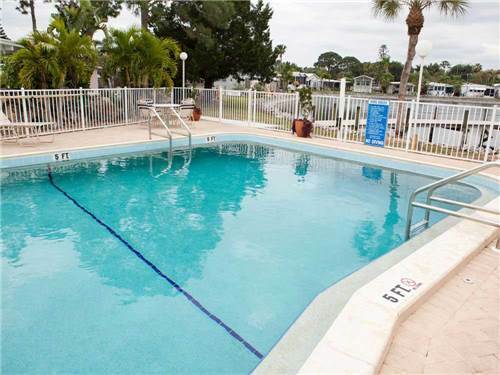 Head out to the beach or relax by the pool. 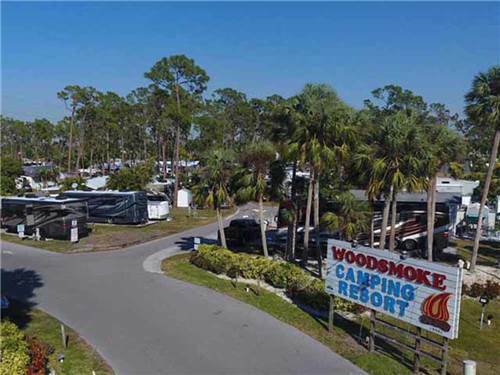 We have RV sites and vacation rentals available. 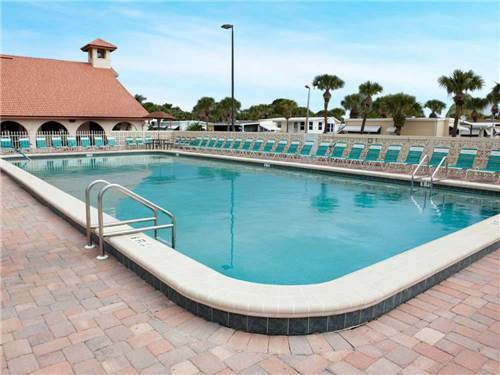 Stay at a true gem of the Ft. Myers area with on-site features like three pools, outdoor recreation and unique activities such as ceramics. 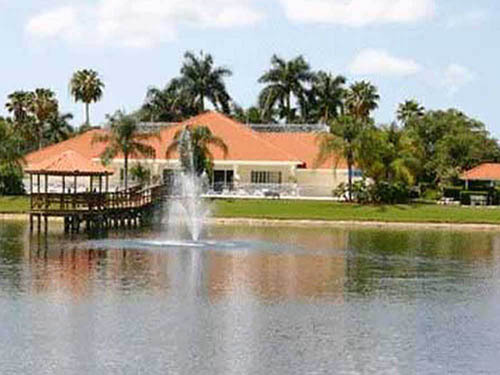 Enjoy nearby golf courses, shelling and spring training for major league baseball! Resort-style vacationing with world class service. Spend a day at the beach or enjoy the active atmosphere of our amenity-packed resort. With so much to do, you'll never want to leave this tropical paradise! 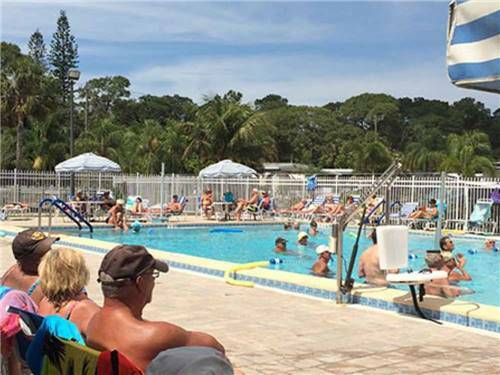 When it comes to fun in the sun look for Marco Naples RV Resort, conveniently located just minutes from South Florida beaches among palm trees and golf courses. 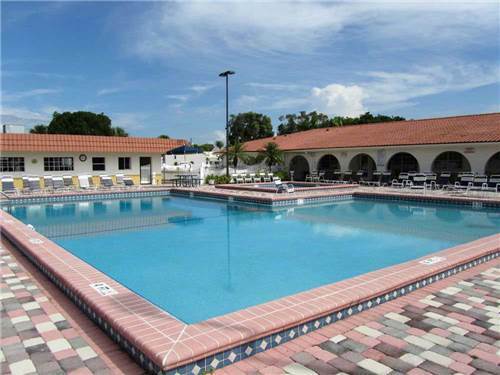 This park features entertainment areas, clubhouse and pool. 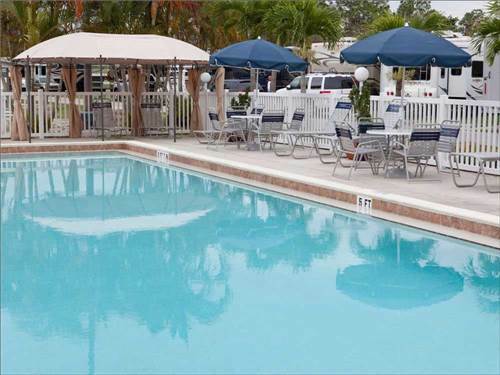 Beaches, fishing, shelling and more are just minutes away from this charming Fort Myers resort. 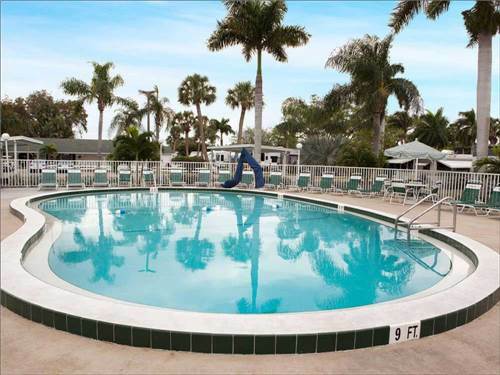 Participate in the many planned activities, swim in the heated pool or stay active with a game of horseshoes or shuffleboard! 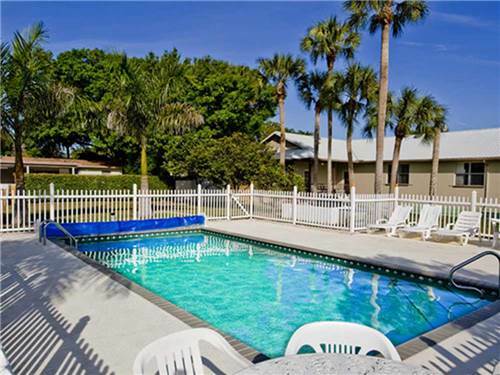 A gated, pet friendly community minutes from downtown Fort Myers, beaches, boating, fishing, entertainment, MLB spring training & casinos. 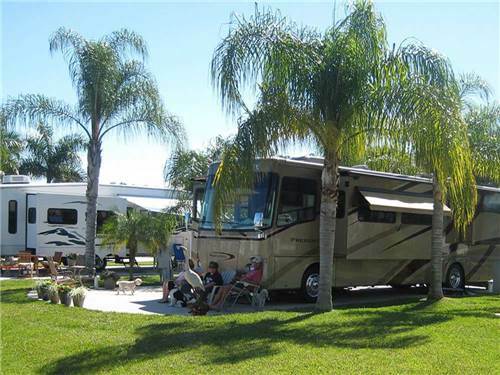 Catering to year-round residents and Snowbirds spending winters in sunny SW Florida. 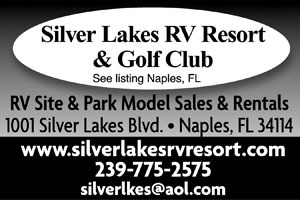 Naples' only RV Resort offering numerous amenities including a 9-hole executive golf course. Rentals & Sales available. 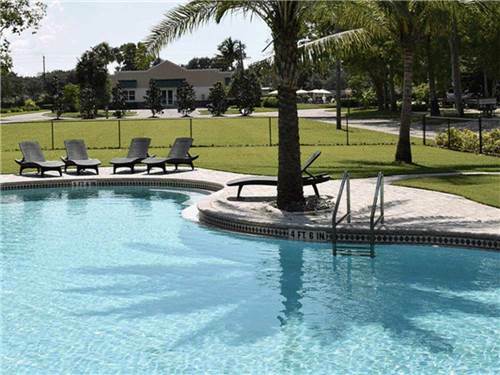 Centrally located between Naples & Marco Island with close proximity to beaches, fine dining & shopping. 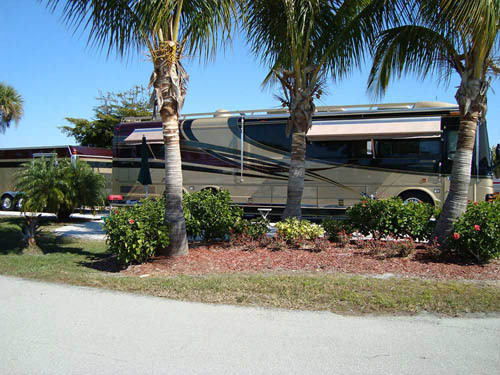 Enjoy Pelican Lake's oversized lush tropical landscaped motorcoach sites in the beautiful Naples/Marco Island climate & location. Country club amenities offered. 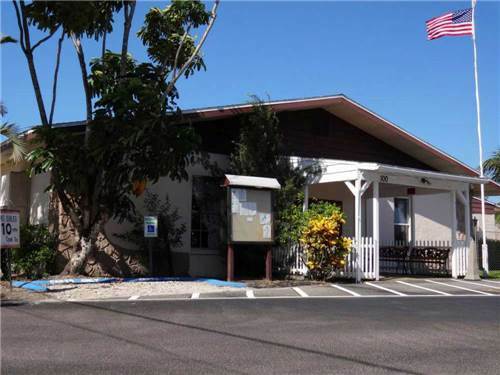 Site rentals & ownership opportunities await you.